Monrow Tissue V Neck Tee - A lover of both v necks and the brand Monrow, this shirt was a no-brainer. Looking forward to this becoming a new closet staple. It's been awhile since I shared some of my obsessions with you all (last post here). I have a few little goodies I've come across recently that I thought you might all like to know about. Enjoy! 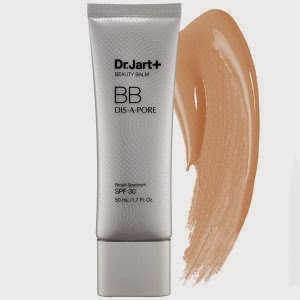 Dr Jart Dis-A-Pore BB Cream - I got this in my Birchbox a few months ago and finally got around to using it. It gives great coverage and skin protection from the sun. I just ordered the full size one! 2011 Kunde Meritage - If you are in the market for a new favorite red wine, look no further than this one. It's a super smooth and tasty red blend that will have even white wine lovers asking for a refill. It's more than I would normally spend on a wine (I usually tap out at $25 a bottle), but this one is worth it. I think I may have to go pour myself a glass right now! 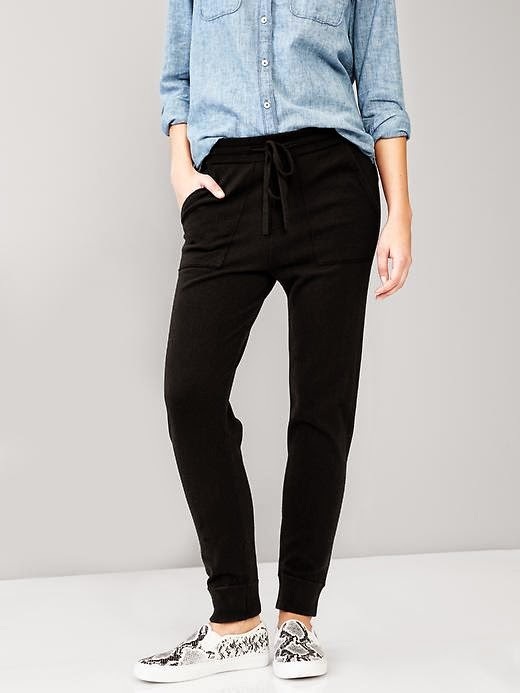 Gap Joggers - Why am I so obsessed with joggers right now? I guess it's winter and I'm over wearing both leggings and jeans so want to give joggers a try. I ordered these from GAP in both black and grey to try out. Will let you know how they end up. Fekkai Salon Professional Blow Out Dry Shampoo - Also got a sample of this in my Birchbox and it's my new favorite. Totally refreshes my hair, even after spin class! 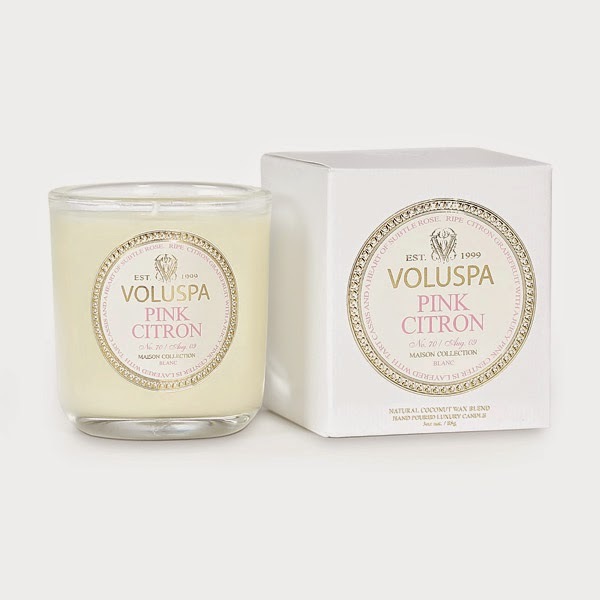 Voluspa Pink Citron Candle - I got this candle for my birthday and love how pretty and yummy it smells. I've been burning it while I work or get ready for bed and it's so relaxing. Those are some of my favorites at the moment. Any other new products out there I should be trying? I adore this hair serum:http://www.amazon.com/Herstyler-Hair-Serum-Argan-Aloe/dp/B00BC3YL2W It smells wonderful and really smooths my hair. By the way, I use Glam Glo mud mask thanks to you and it is a god send. My skin has really cleared up as a result. Thank you! !